Hi! If you’re here because of my blog post on the REI Blog, welcome! Thanks for stopping by. Teton and I hope you’ll stay awhile. 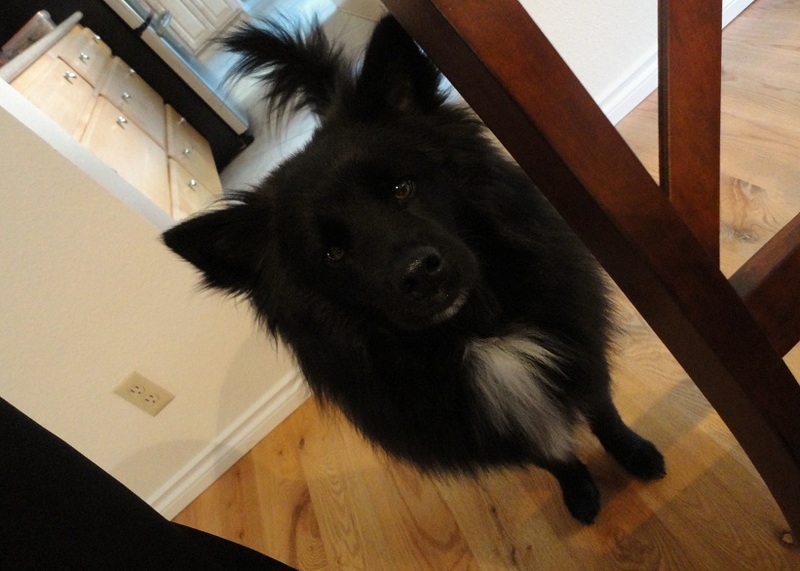 I blog about products, activities, and a bunch of other dog-related things every Tuesday and Thursday. 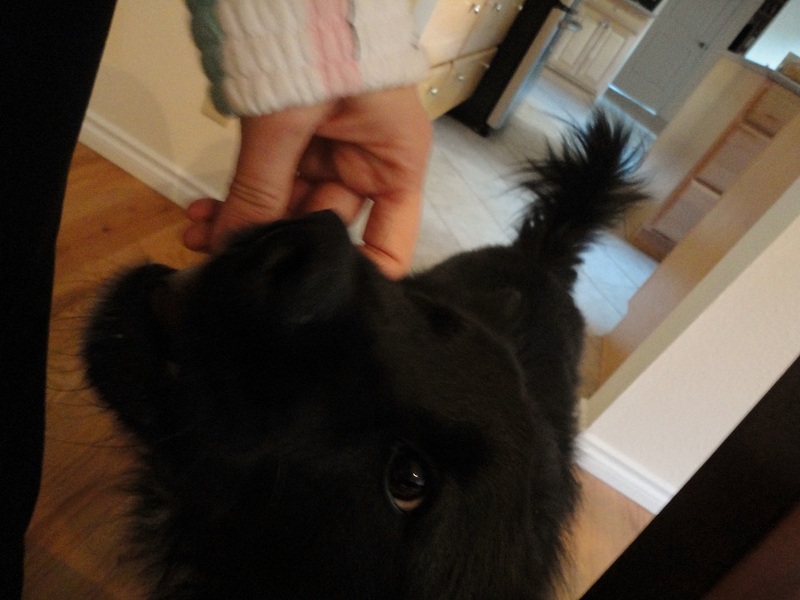 Come back and see what’s new, or better yet, subscribe to Her Dog Blog and get e-mail updates when a new blog is posted. 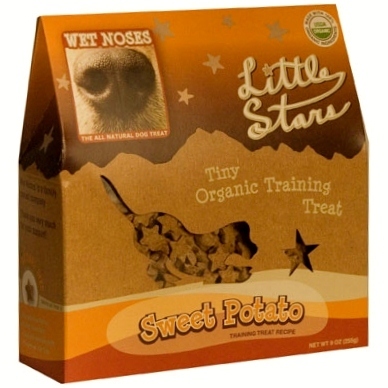 Did you know that sweet potatoes are as good for your dog as they are for you? 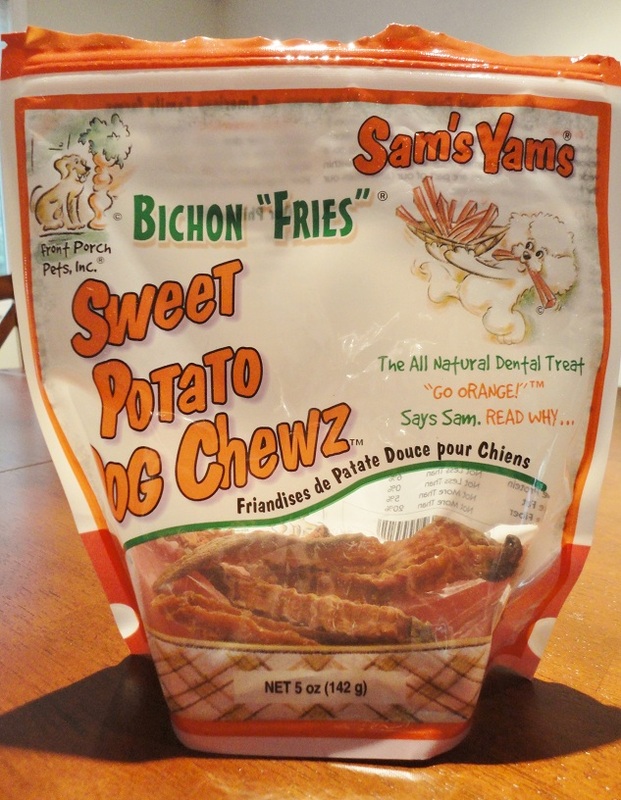 Our favorite sweet potato treats are Sam’s Yam’s Bichon Fries. 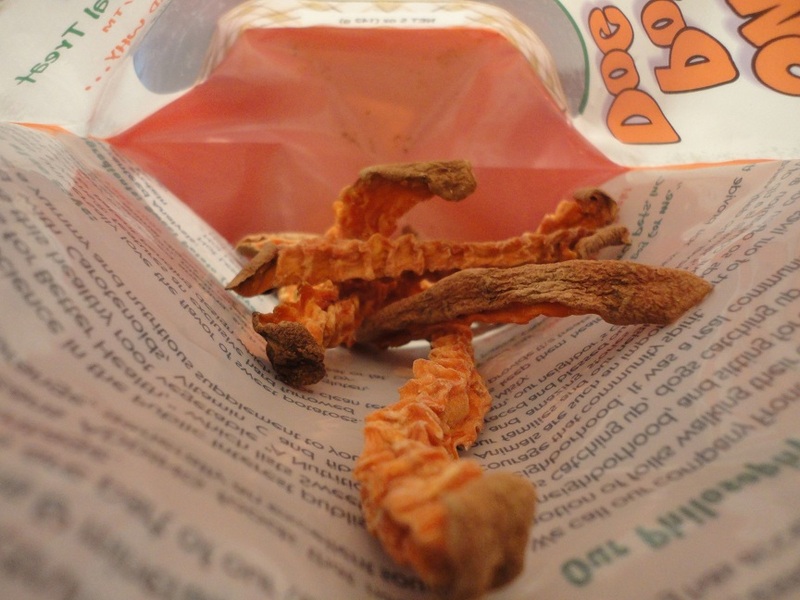 The Little Blogger has loved these treats since the moment he laid eyes sniff on them. Sweet potatoes (not to be confused with yams, which are higher in calories, drier, and lower in beta-carotene than their counterpart) are known for being a good source of beta-carotene and potassium. 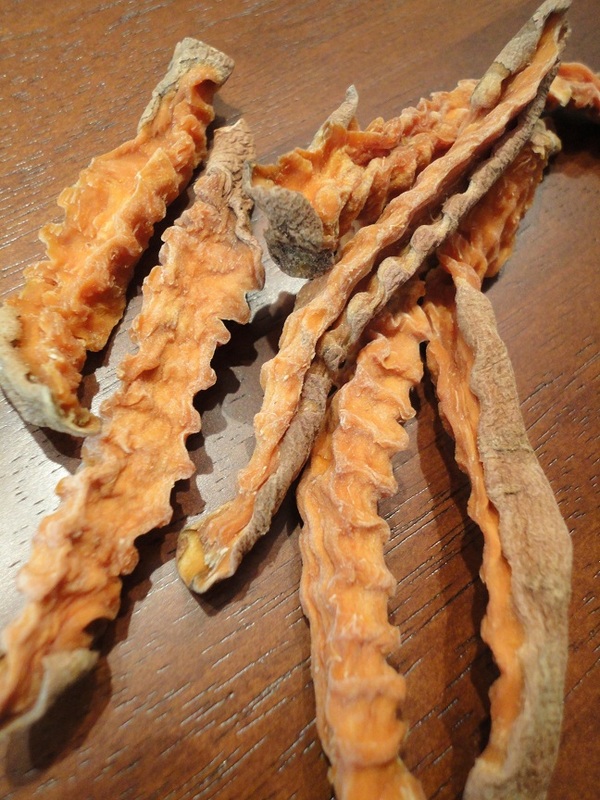 In addition to the benefits of beta-carotene, sweet potatoes are great source of potassium. Potassium works wonders on the heart, kidneys, digestive system, and pretty much everything else goin’ on in your dog’s bod. Don’t worry. A new bag (which runs around just $5) has more than just five fries. We’ve clearly depleted our supply. 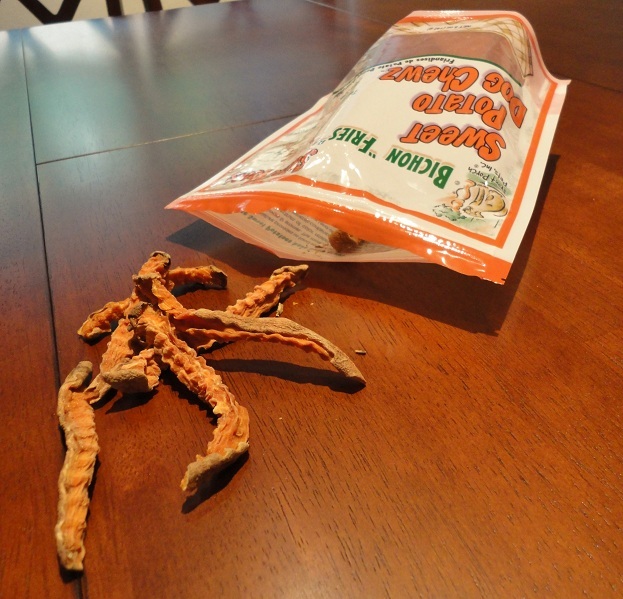 Sam’s Yam’s Sweet Bichon Fries are made with just one ingredient. Sweet potato. 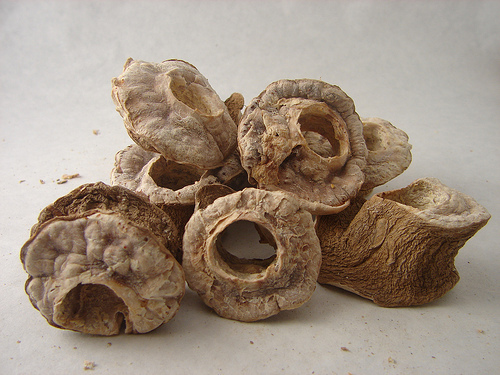 I really need that dehydrator. Doesn’t look much different than the sweet potato fries I had last week at Red Robin. Campfire sauce, baby! Bichon Fries are hard, but not so hard that you can’t snap them in half or give them to a dog that has a difficult time chewing harder treats. I don’t generally break them in half unless I’m using them to get a few tricks outta the little goose. I’m a fan of these treats because they’re made with just one ingredient that packs a mean punch. They’re also cheap. And they don’t stain the carpet. 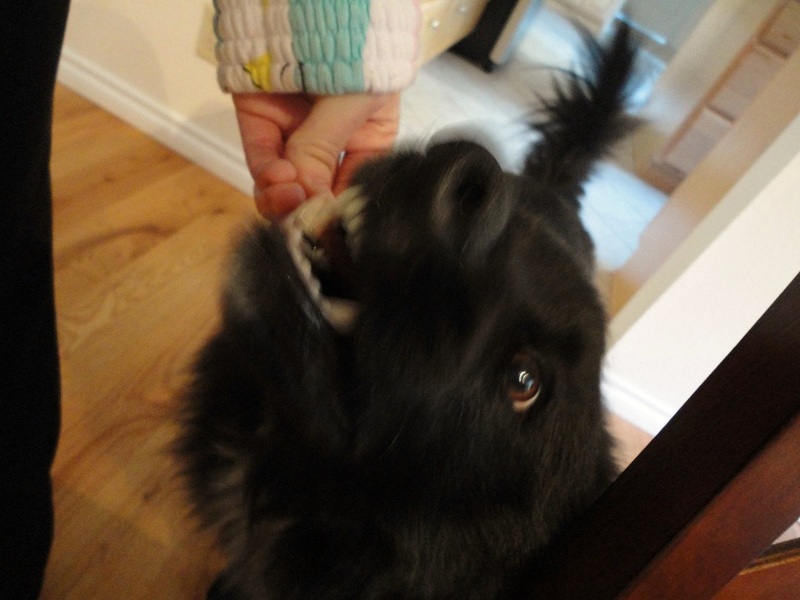 Oh yeah, and they clean Teton’s teeth. You know how we love our Little Stars! 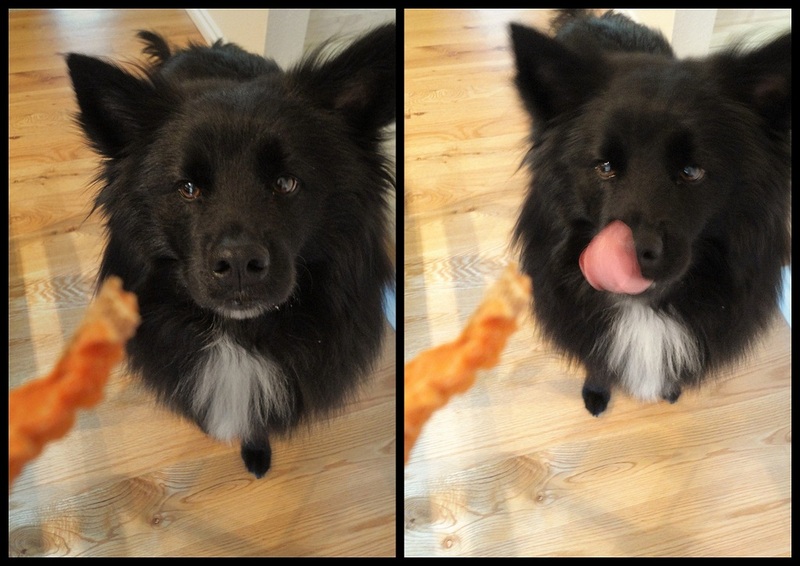 What other sweet potato treats does your dog like? Posted on October 25, 2011 by Shannon	This entry was posted in Treat Jar. Bookmark the permalink.